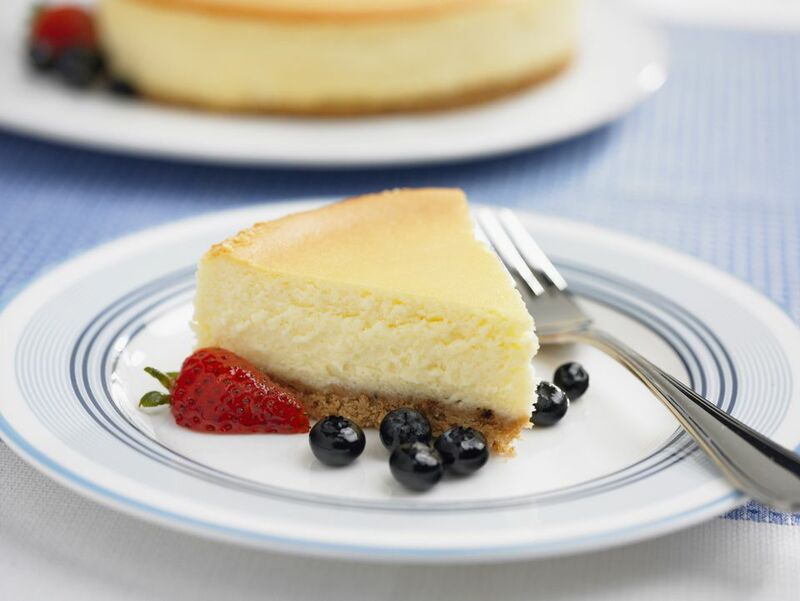 If you love a wonderfully dense cheesecake, this New York cheesecake recipe is for you. We bake it at 500 F for a few minutes, then turn the oven down to 200 F and bake it the rest of the way. The result: creamy cheesecake perfection. Break up the graham crackers and pulse them in a food processor until you have fine crumbs. While you do this you can be melting the butter in a small saucepan over low heat (or just melt it in the microwave). Transfer the crumbs to a mixing bowl and stir in the sugar. Finally, stir in the melted butter and combine until the crumbs are uniformly moistened. Press the crumbs into the bottom of a 9-inch springform pan until you have an even layer. Bake for ten minutes, then remove the pan from the oven and let the crust cool while you do the next steps. Let the cheesecake cool for a full three hours at room temperature, then cover with plastic wrap and refrigerate at least overnight, although a full 24 hours is best. Chocolate and Cheesecake are Even Better Together!